You can’t defeat a book. The media police don’t break into the cinema and whip you with sticks if you aren’t watching a film the right way. Digital albums don’t self destruct if you can’t press F to respect the music. If there’s one special thing that sets video games apart from the media competition, it isn’t the interactivity or the capacity for empathy or the car crash of every type of sensory feedback happening simultaneously; it’s failure. While recent developments in the more independent corners of the industry have allowed for games that are more about experience than challenge, much of the hobby’s history focuses on the idea of winning and losing. Triumphing over digital adversity is satisfying; beat the bass, save the kingdom, achieve something meaningful. Unfortunately, even though losing is a key part of almost every game you can play, not a lot of thought seems to go into the ways that failure can be implemented. Enemies take away all your health and you die, returning to a previous point; you forget to pick up the important item and you can’t get through the door, so you have to backtrack; the character fell off the platform, forcing you to start again. None of these outcomes is particularly fun, and, crucially, they all involve stopping the player from actually experiencing the game. Failure is good, but what comes after is usually a sort of limp shrug. That interruption of the play experience is key to the problem. How do you make it clear that something bad has happened—that mistakes were made—without making moments the player dreads for all the wrong reasons? In any decent piece of art, every component works to serve the story of the piece as a whole. Not just the words on the page, or the paint on the canvas, but the paper on which people experience it, or the room where it hangs. Keeping the themes and messages of a game in mind while designing fail states means they can work with the narrative. You can see this in the way that people speak about games they’ve played; nobody simply recounts the story beats or the results of various battles, they weave their own personal version of the narrative, complete with their various unexpected wins and crushing losses. It makes sense, then, to construct games in a way that makes fail states a part of the process, rather than what happens when it stops. 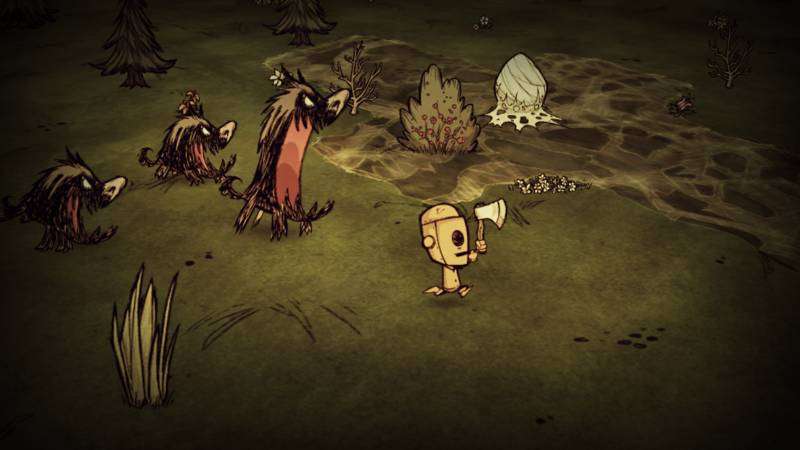 Roguelike-adjacent titles like FTL or Don’t Starve manufacture player engagement across multiple failures. Every run through these games is a self-contained experience, with each world and its characters burned to ash after each defeat, but foreknowledge of this impermanence allows players to connect with their personal story. They know their time is limited, so every action becomes a vital beat in the narrative. Those experiences carry through, not just with greater skills for a new run, but with a desire to tell a better story next time. Darkest Dungeon follows a similar path, but instead allows the story to flow ever onward while the characters remain as weak and fragile as tissue paper. Your poor unfortunate souls can keep turning up on the coach and you can keep tossing them into the eldritch meat grinder; the elusive redemption of your family’s legacy still sits just out of reach. Every trip into the dungeons holds thousands of risk-reward decisions, but, because you know the game will let you continue even after a whole team is massacred, the dynamic shifts to make you consider whether you can push your team just a little harder if it gets you closer to the goal. Darkest Dungeon is ostensibly a story about being the villain, even if you are battling the forces of darkness, and the ability to fail with a human cost while still coming out on top is a fascinating way to reinforce this. It neatly parallels the actions of generals at times of war, weighing up the viability of sending thousands of soldiers to their deaths if it means gaining a hundred feet of the battlefield elsewhere. Building a whole game around failure isn’t the only solution, of course. Sometimes the smallest change can make the biggest impact. Dying in Prince of Persia: The Sands of Time (one of the best examples of specifically game-focused writing to this day, by the by) isn’t remarkably different from any other action game: you fall too far, or get crushed by something, or a sand monster rips out your heart, and a standard continue screen fades in. But the important thing is that the prince speaks. A few seconds after death strikes, the prince will assert that this isn’t actually how it happened and he never died because he’s very good at jumping; also he’s the one telling the story. The narrative conceit that runs through the veins of Sands of Time is that everything we experience is a story told from the perspective of the prince, to another character. The game ends with a rewinding of time that erases every event the player experienced, leaving only the prince with any memory of the alternate timeline. Without a single mechanical change, each death is transformed from a simple brick-wall to a delightful in-joke between the prince and the player, all the while strengthening the themes of regret, redemption and changing perspectives. Not bad for a simple game over screen. An old adage among those who run tabletop games is that you should always say ‘yes’ to players. The idea being that allowing a player to try something weird and risky and stupid will always be more fun than standing in the way because of silly things like rules, statistical chances of success or the laws of physics. The same applies to video games. While they operate on a stricter set of code-based rules, letting players play will always be preferable to putting roadblocks in their path. It’s why a cheap death or encountering an invisible wall on the map hurts; there’s a sense of betrayal, that the game is cheating you out of your promised experience. Crucially, the losses in Monster Prom are still unambiguously bad. Failing to pick the answer that will make you look like a cool party guy with cool party ideas while the hot ghost girl is listening will crush you, and the harsh, unfiltered response typical of high school characters will burn for at least the rest of the game. But that’s great, actually. By continuing to draw a line between good and bad outcomes, the game lets you feel the pain of falling short without interrupting the experience. And so much love and care goes into every outcome that players are naturally drawn to the what-if scenarios of crushing defeat, even if they are good at the game. The successful combination of these ideas—narrative framing, engagement, loss incentives—is often paired with one other clever fail state trick: learning. Roguelikes do this by relying on players to remember their own performance, the mistakes they’ve made and the obstacles they faced, the ideal outcome being that they naturally become better as they die more frequently. The limitations of this approach are that a lot of time may have passed between a mistake and the reappearance of the skill it corresponds with, and that the unpredictable nature of procedural generation diminishes how much you can actually learn about the game. But then there’s this obscure set of games collectively known as Soulsborne. 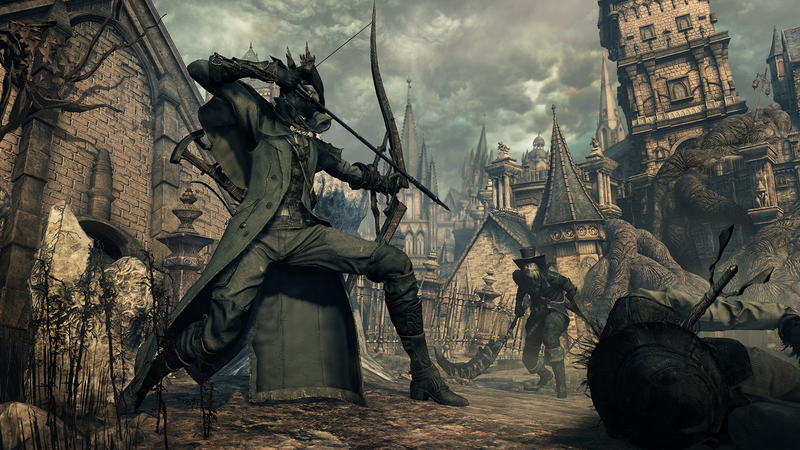 Dark Souls and Bloodborne both place a heavy emphasis on graduated, measurable improvement. Even though there is a point where the game boots you back to a previous area (because you died in some horrific way), dying—failing—is part of the process rather than a wagging finger shaming you for your shortcomings. When you die or rest in a Soulsborne game, you maintain all your current equipment and power, while the enemies you killed respawn and your experience-slash-currency is lost, giving players a sense of progression through failure even as the challenge level remains high. Shortcuts and spawning points provide anchors for the experience, ensuring that runs are at least potentially planned based on the location, resources and threats faced. Threats are static, too, giving players room to learn every aspect of an enemy’s position and tactics. This loop of failure that offramps to eventual success is why these games have a not-unjustified reputation for being extremely difficult. The challenge is there, yes, but it’s more that any Soulsborne game is balanced around the idea that you are capable of overcoming said challenge; contrast this with a standard action title, where the difficulty is designed to reflect the developer’s guess at how good someone might already be at the game they haven’t actually played yet. Plenty of other games do their part to implement similar strategies for polishing up such a neglected area of game design. Borderlands allows players a second chance if their health drops to zero, a few precious seconds to kill something, fend off the grim reaper and avoid a rather dull respawn nearby. Games of Overwatch are a blur of death brought into focus by the teaching power of the hero switching mechanic. Mostly-forgotten schlock horror classic Obscure gave you four teenagers to look after and if one or two died you simply had to try harder (and stare solemnly at the blood puddle where they died for the rest of the game). Hopefully we’ll see more solid attempts at integrating failure into the rest of a game’s design as the medium develops and experiments. Perhaps there’s even something to be learned from the ways in which you truly can ‘fail’ other types of media; one can easily read a novel without understanding the messages it contains, for example, and you could imagine a branching tale where the game takes different routes based on your understanding of its themes. Whatever else happens, players will keep making mistakes. It’s in our nature. So we might as well have fun along the way.